In extreme cases, the only solution to repair and restore your oral health is to rebuild the entire mouth through full mouth reconstruction. The first step in full mouth reconstruction or any complex treatment is to talk with Dr. Alhadef. Every case of full mouth reconstruction is unique, and Dr. Alhadef will customize a plan for you that meets your specific needs. Full mouth reconstruction may include a number of restorative dental procedures, including, but not limited to: periodontal care, crowns, bridges, or dental implants. 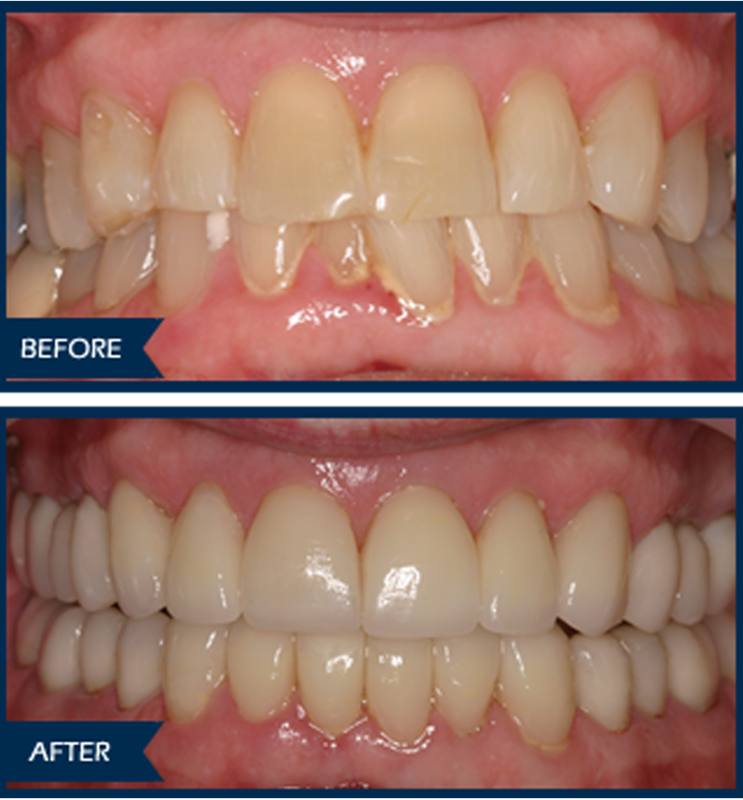 No matter what treatment plan meets your needs, when your treatment is complete, you will love your newly rebuilt smile!